You want to create a family room that you will always feel welcome and relaxed in. The problem is that there are so many design choices out there. How do you narrow it down? Well, you look through as many styles as possible. 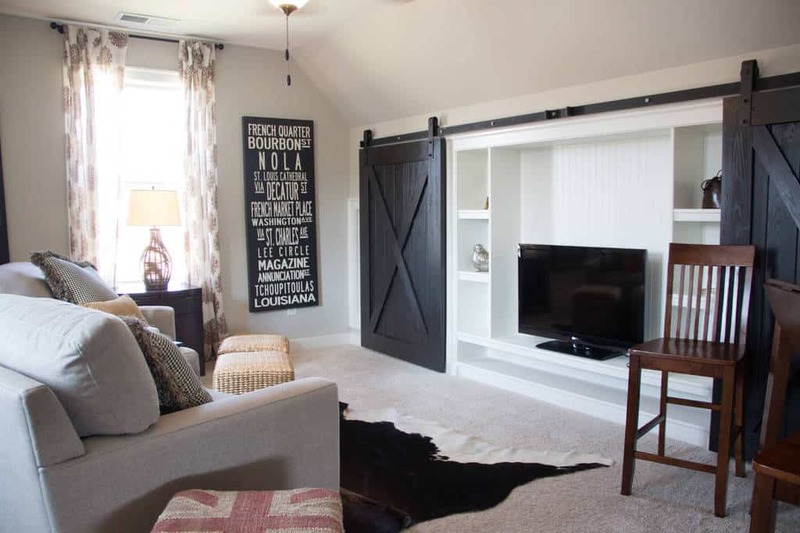 Below, we have gathered 40 farmhouse style family rooms for you to look through. Maybe you’ve had a farmhouse style for your house before, or maybe you’v seen a design you like. Either way, you will certainly enjoy the country, sometimes bucolic styles you can create. Take your time and see if anything below interests you. Behind these durable sliders is your entertainment area, ready to help you relax at the end of the day. 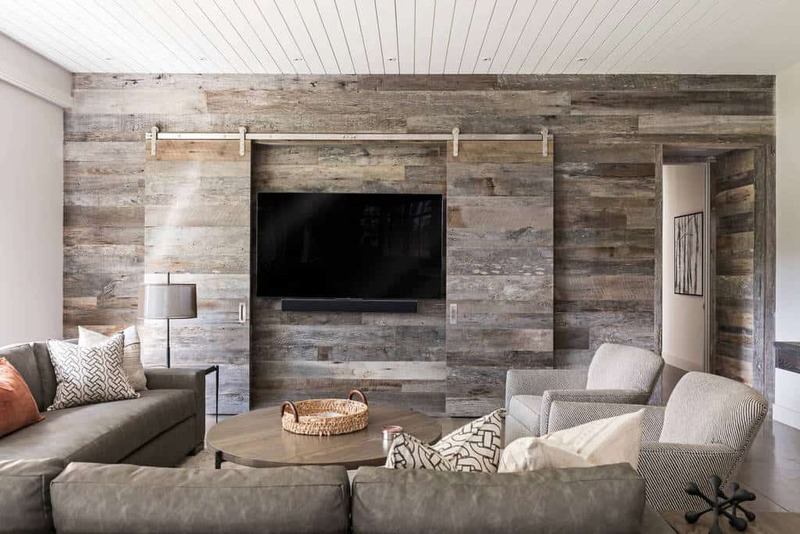 This space uses beautiful, weathered style hardwood that brings this family room great character. 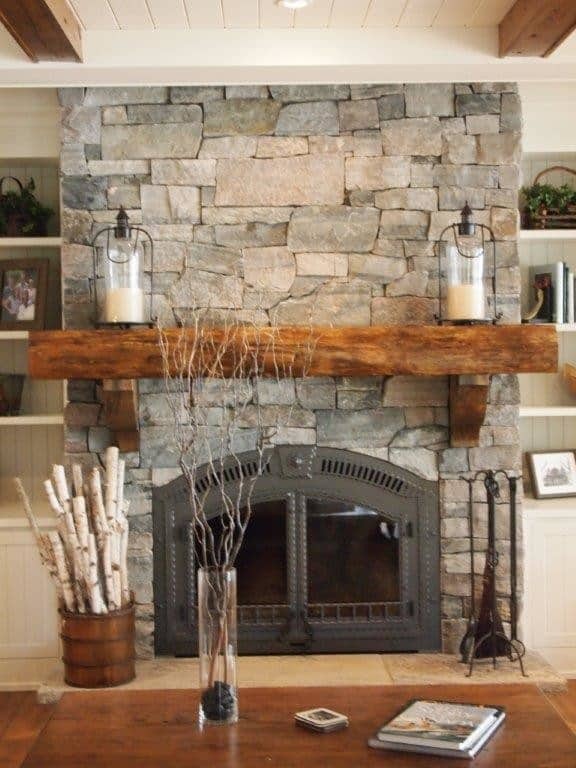 This wonderful stacked stone fireplace is amazing, rising to the ceiling as it brings you warmth. The whole room is bathed in great natural light to show off its light stylings. 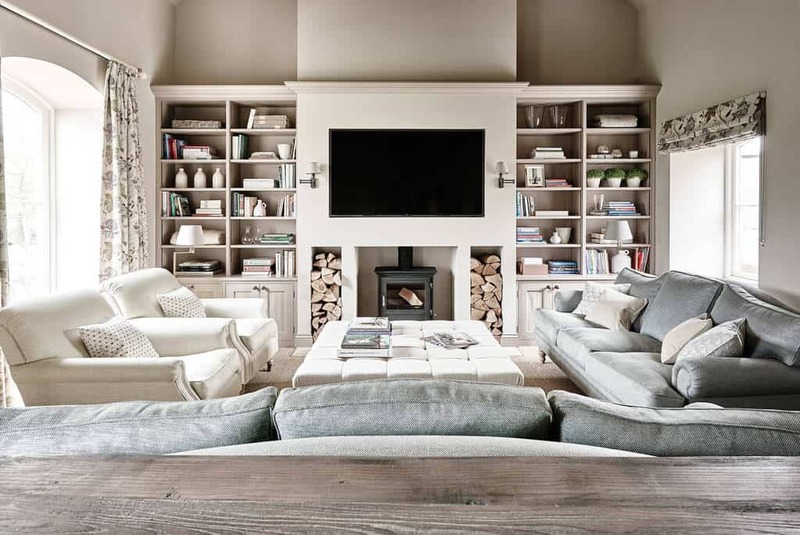 This family room is balanced all around, from the great shelving to the furniture on each side of the room. Stay warm with firewood nearby and relax for the day. 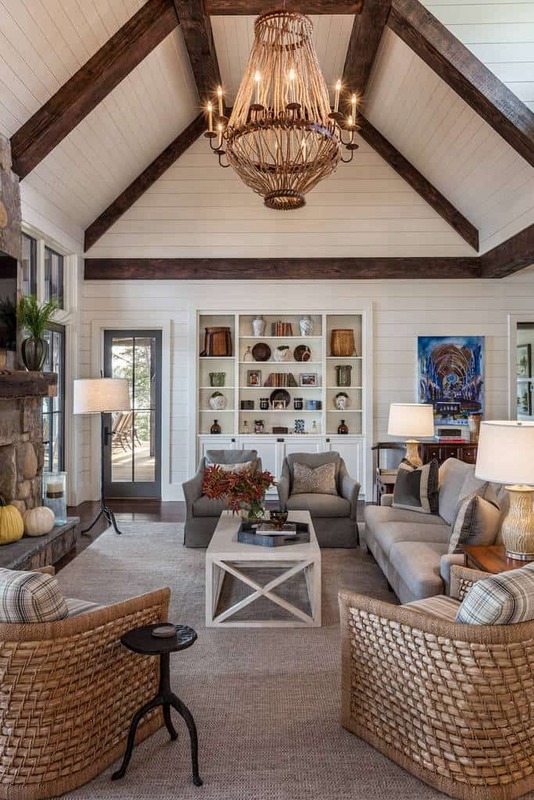 This wonderful space brings a great country charm with the hardwood and decor. 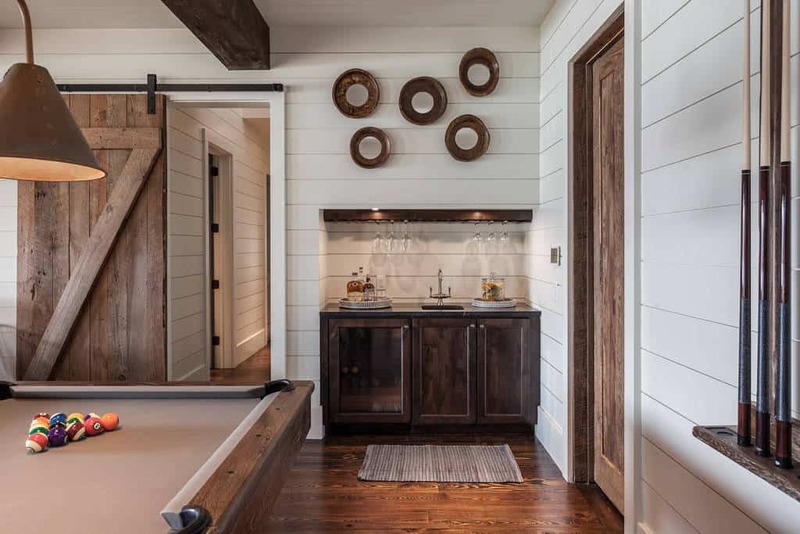 You have a great space to play a game of pool and an area to make your drinks. 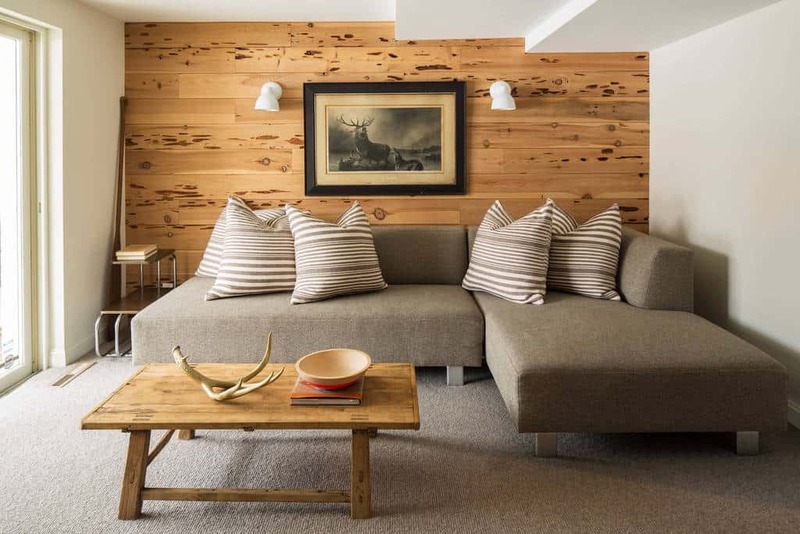 The decor in this room takes on a modern cultural style while the room is design with a light rustic sense. 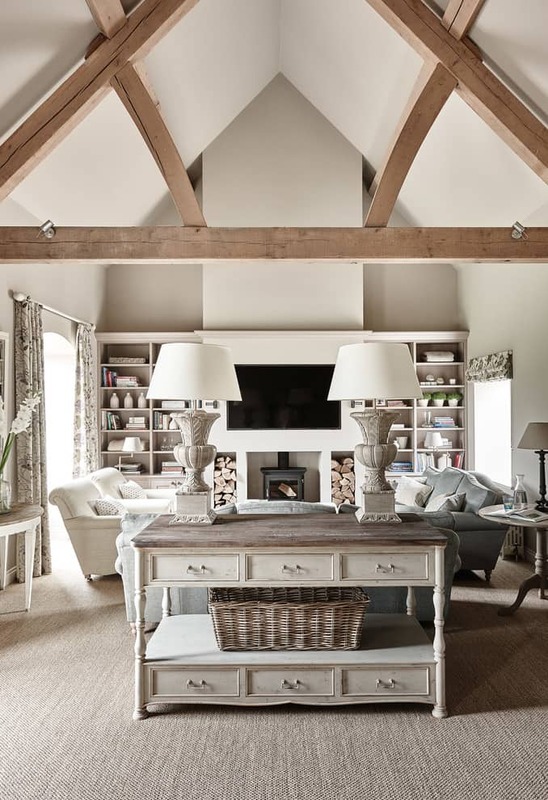 The white walls and the exposed wooden beams give this space a country charm. The tables help to make this great family room seem less cluttered thanks to their open style. The furniture is light a comfortable, a great match for this hardwood floor the walls. 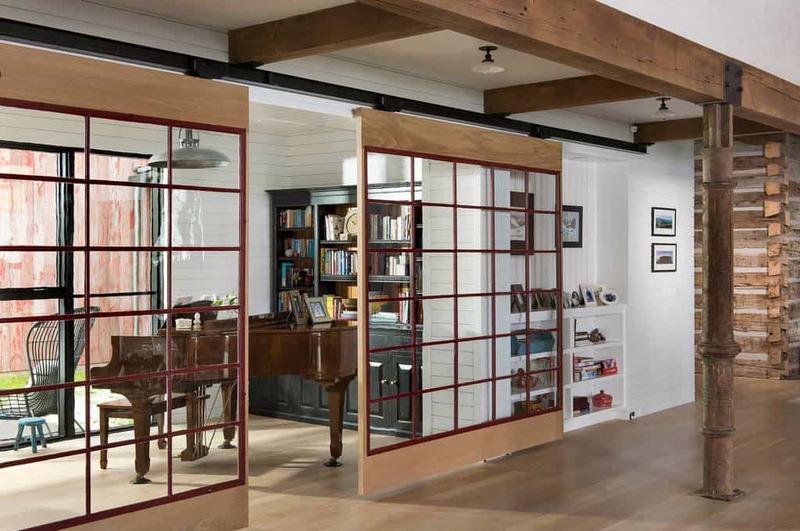 Photo by North Fork Builders of Montana, Inc.
Slide these doors aside and walk into a beautiful family room. All designed to match the personality of the owner, this room is visible from the inside of the house and takes in great natural light from the outside. With the exposed style along the ceiling, this room takes on a modern industrial feel. Designed with furniture that is beautiful but not overwhelming, you can relax and watch some television here. 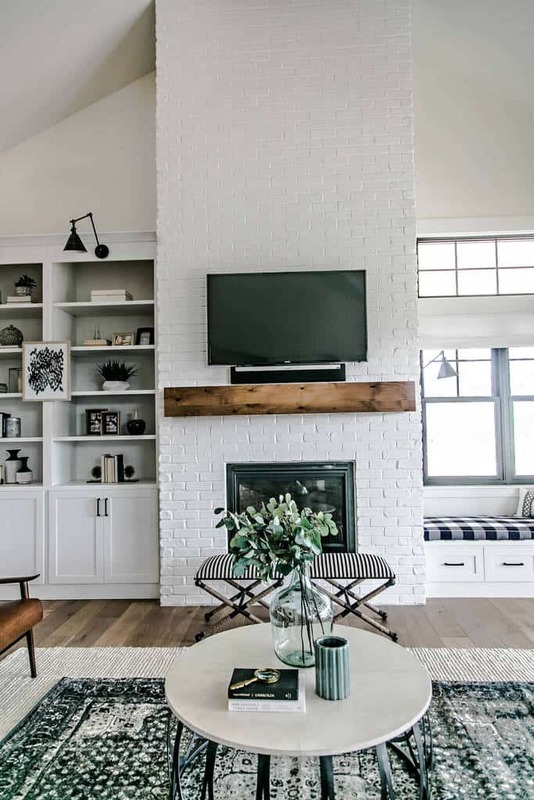 The white brick around the fireplace brings this family room a great character. With shelving to show off the stylish decor, you can enjoy this sleek space in the the natural light that shines in. 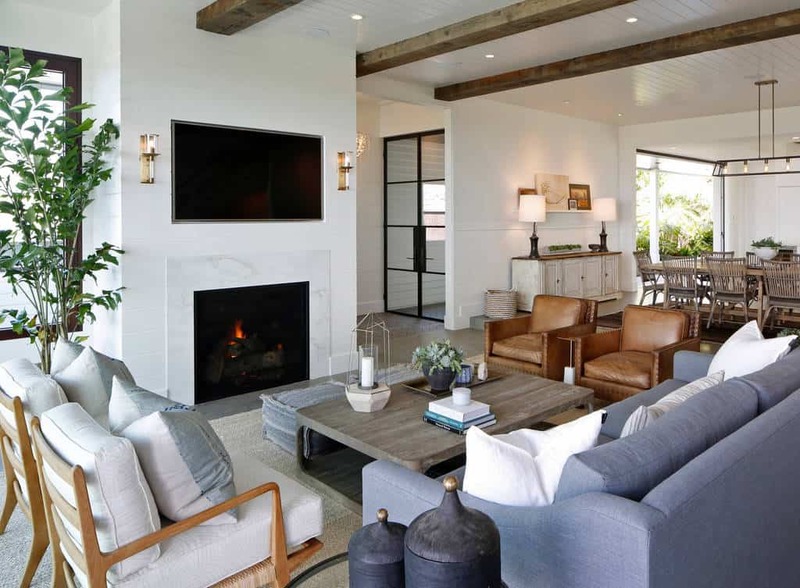 With a beautiful stone fireplace rising to the exposed wooden beams in the ceiling, this room comes together nicely. The hardwood floor hosts some classic country furniture to give this room a welcoming feeling. 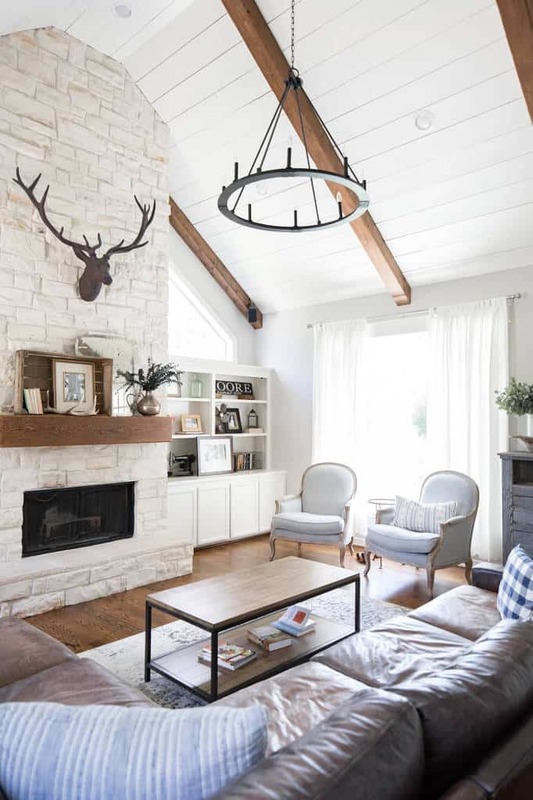 When you have exposed wooden beams running across the ceiling, you can really use those to balance decor from. 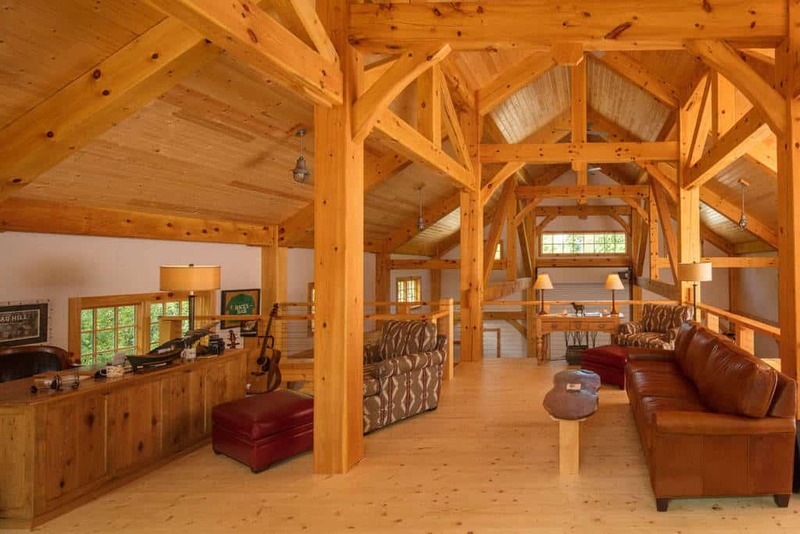 This room has beautifully crafted furniture and a warm fireplace to help you relax. Sometimes two things in a room match so well that everything else falls into place. 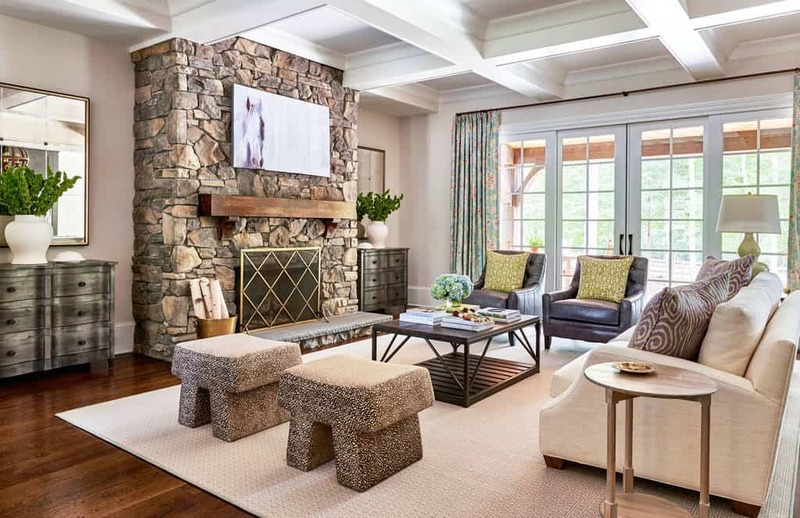 Here, the fireplace and the center table bring this family room together and give a wonderful start to the decor. 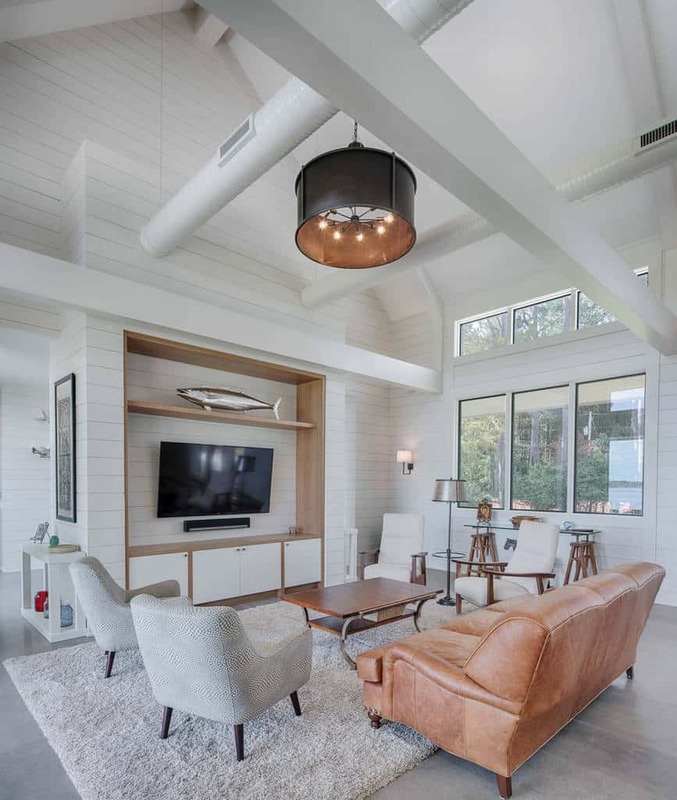 The ceiling here is just wonderful, with the exposed hardwood giving this space life. The light hardwood floor is perfect, and the furniture minimal, keeping this room open. 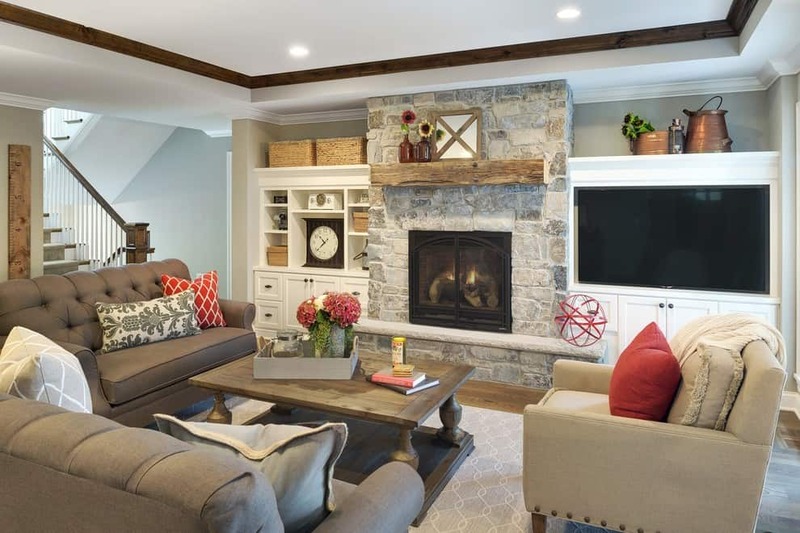 With a country rustic style, this space has a modern upgrade with lighter colors and a warm stone fireplace. The decor is charming and balanced, matching the comfortable furniture. With great earth tones and some color mixed in, you can see how wonderful a modern country look can be. The mix of bucolic decor and modern styles works well here. 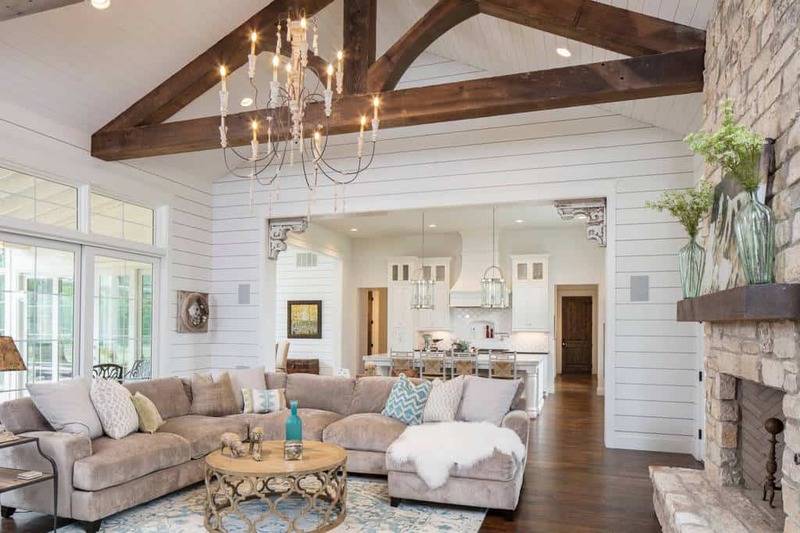 The rustic light fixtures and hardwood styles around the room are filled with beautiful furniture. This large family room gives your the space you need to keep everyone entertained and comfortable. 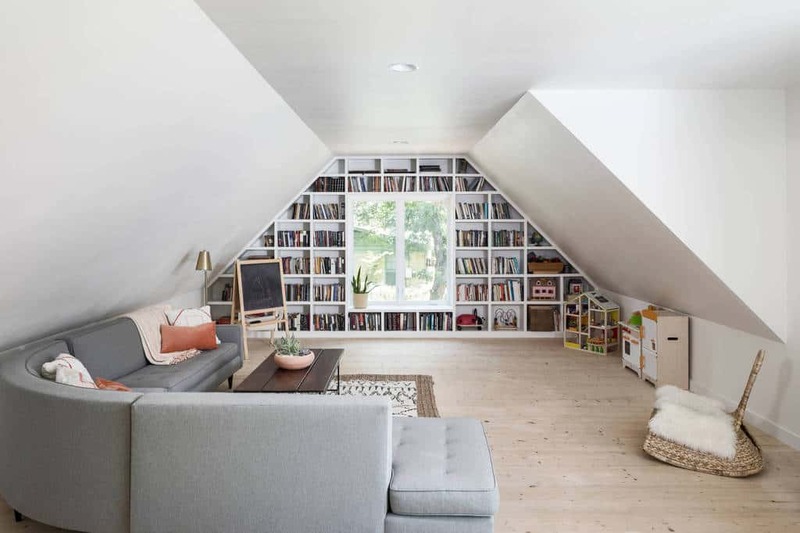 This upstairs loft style room has great functionality. With an area to get your work done as well as a space to relax, this family room is also your office. Sometimes a simply light and dark contrast scheme works the best. You can see that at work here, with some great decor and color thrown in. The whole space is relaxing and stylish. With shelving to the ceiling to store your favorite books, this beautiful room makes use of colors and decor that has a country charm. Stay warm by the fireplace as you enjoy this welcoming room. 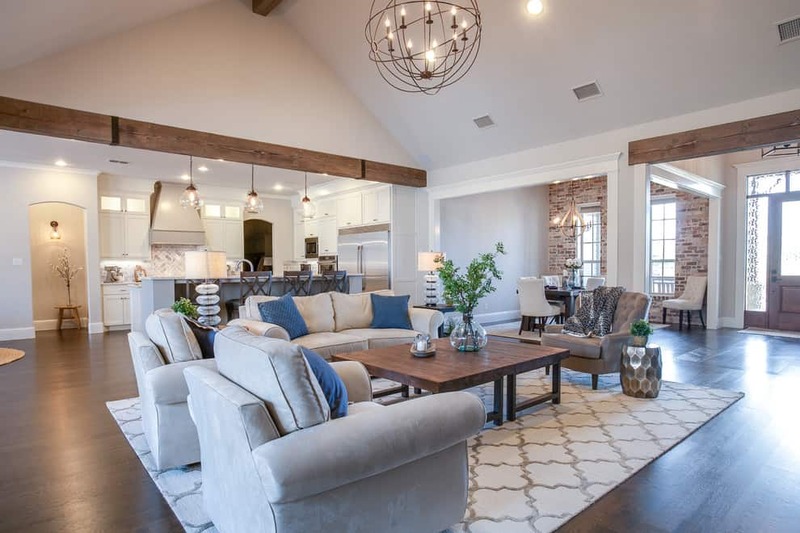 With a great open floor plan that connects the family room to the other areas of the house, you can appreciate the beauty. The stylish rug hosts beautiful decor and furniture that perfectly matches the design of this house. 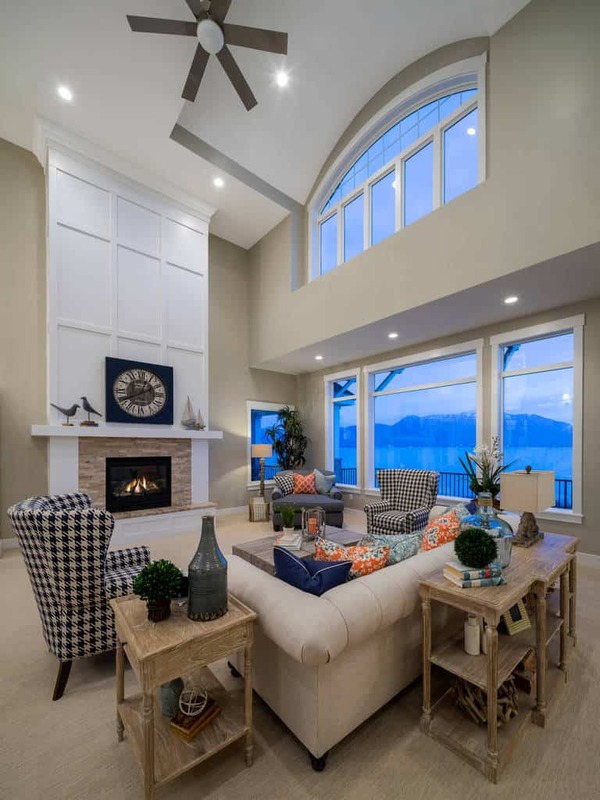 This beautiful family room has a connection with the outdoors thanks to all the windows. 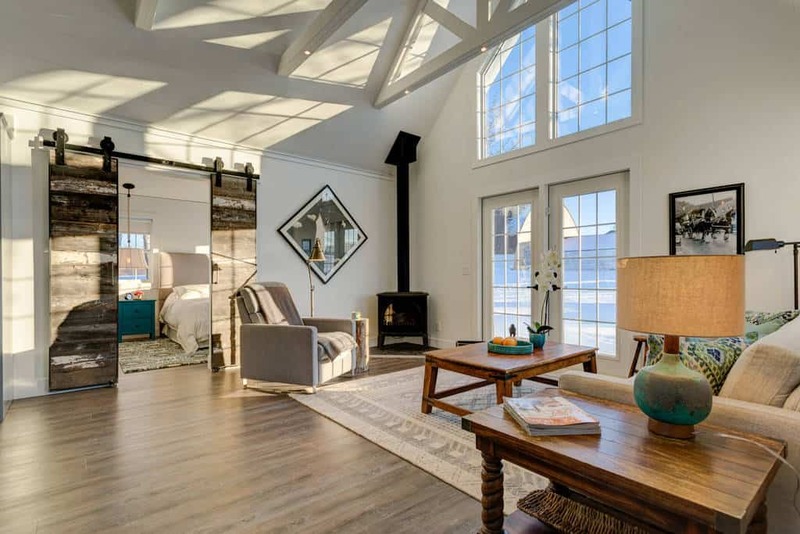 The natural light shines in to show off the dark hardwood floor and light decor style. If you need a space to keep people entertained and relaxed, check this room out. 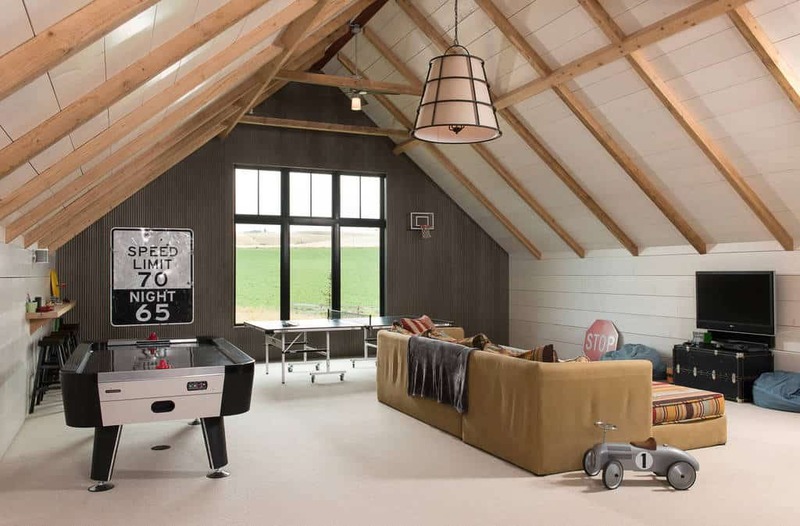 With decor that makes this room fun, you can play some games or sit and watch a movie. No matter what, your guests will stay busy. This family room takes on a sleek and stylish design. The gray color scheme breathes sophistication. 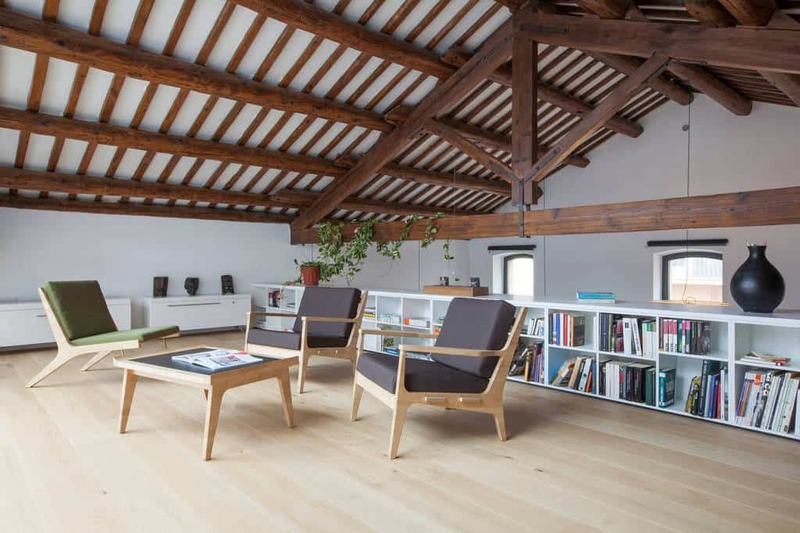 The natural light shines in on this space, bringing it to live. Simply designed, this space is here for you to relax and stay warm. With the firewood stored nearby, you will never run out as you chat with a friend or read a book. 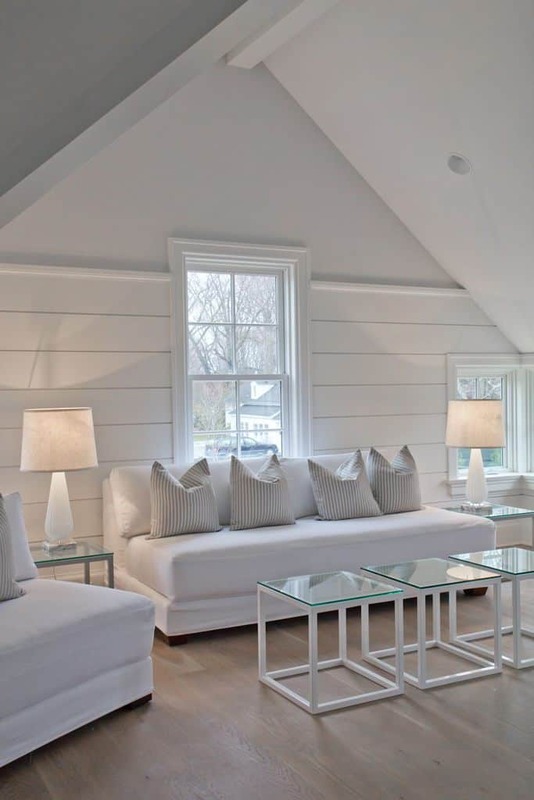 With a beautiful hardwood floor to balance the light decor off of, this room is both contemporary and classic. The decor has a new, stylish sense, but the architecture brings you back in time. Take a minute to enjoy the open beauty of this room. 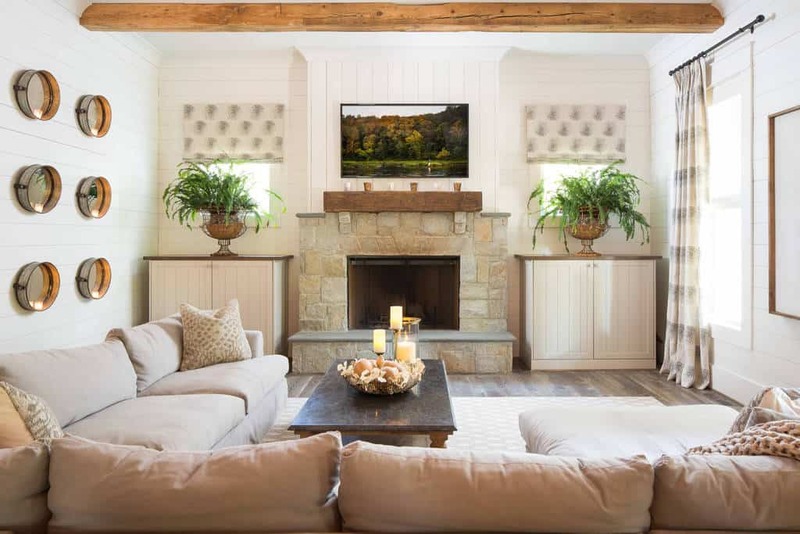 This family room, easily connected to the other areas of the house, is spacious and takes on a modern rustic, country style that balance light and dark colors. With comfortable furniture that is darker than its surroundings, you will enjoy the style of this room. 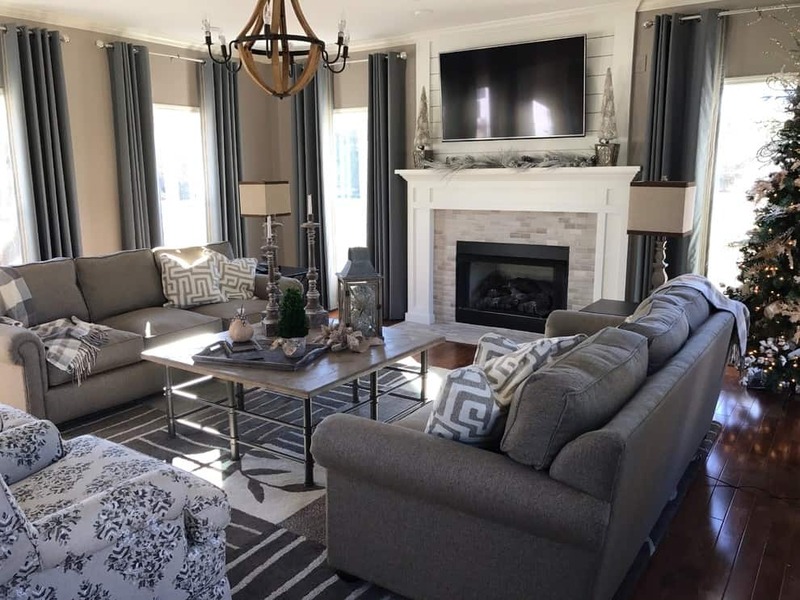 The decor is calming and has a country style, and the rug brings some great character to this space. With a high ceiling that lends this room an open sense, you will enjoy the mix of traditional designs with contemporary colors. The large windows let the natural light shine in, giving this space a wonderful look. It is hard to go wrong with a mix of hardwood and stone styles. This room is open to the rest of the house and has a fantastic light style that is lively. Relax here and stay warm by the fireplace. 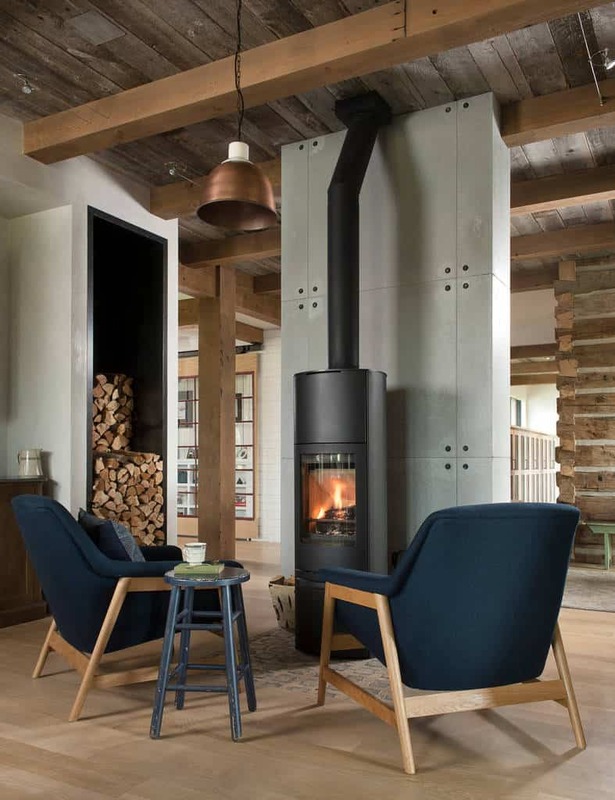 This fireplace keeps the room warm and is surrounded by beautiful country decor. It is a charming and old style bucolic scene that works well with so many different styles. Sliding the doors to the side, you will leave your bedroom and walk right into this open and spacious family room. Taking full advantage of the natural light coming in, this is a welcoming space. With an absolutely beautiful hardwood wall to center this room, the easy and minimal furniture is the perfect touch. The room is relaxing, not overwhelming, giving you a place to come everyday. With a charming style, complete with light colors and wonderful patterns, this small breakfast nook is a wonderful place to sit and relax with a friend. 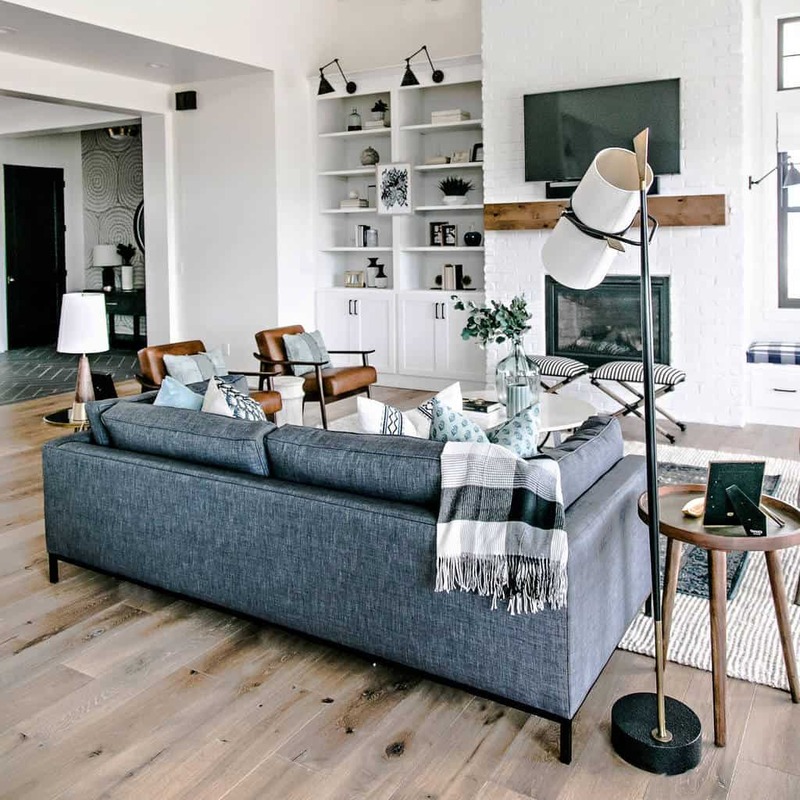 The light hardwood floor is matched to well by the design of this room. With a swinging seat for you to relax in, this wonderful room is bright and lively in the natural light. From the built-in shelves to the modern furniture, you will always enjoy this room. 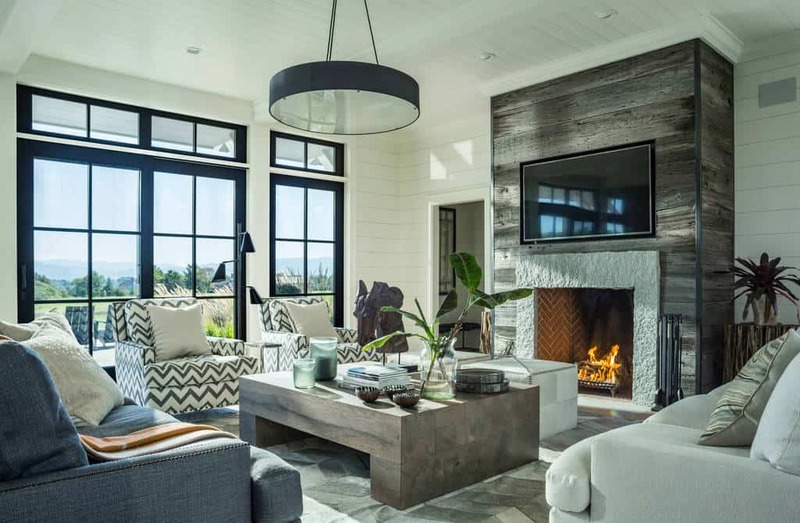 This room has a balanced sense of style, with natural light shining in from both sides and a great area in the center with the television and fireplace. With a weathered look and wonderful earth tones, this room is ready for you. Connected right with the outside, you can open this space up to extend the party any time. 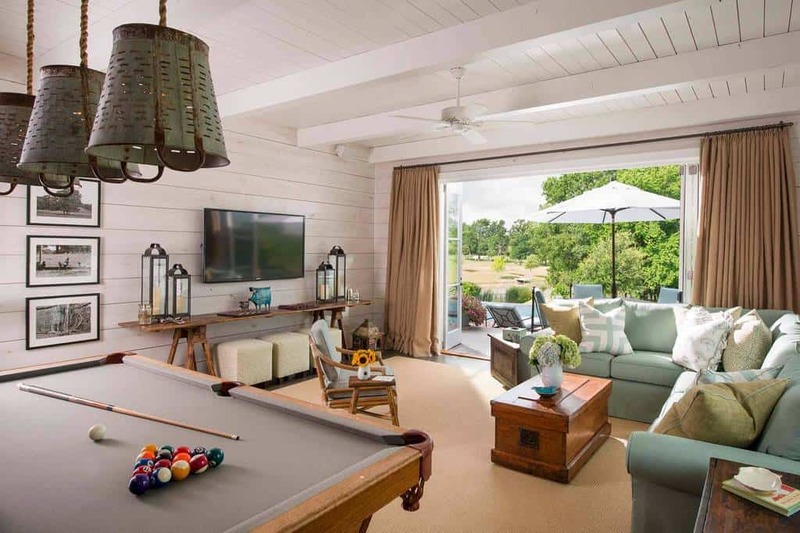 Relax and watch some television or play a game of pool. This family room will always keep you relaxed. When you have a room that doesn’t fit the conventional shape, design around it. These shelves fit everything you need them to and give this light and stylish room a great look. With a great stacked stone design, using different stone sizes, this room looks great. With a handsome furniture style and great colors to match, this room soaks in the natural light. 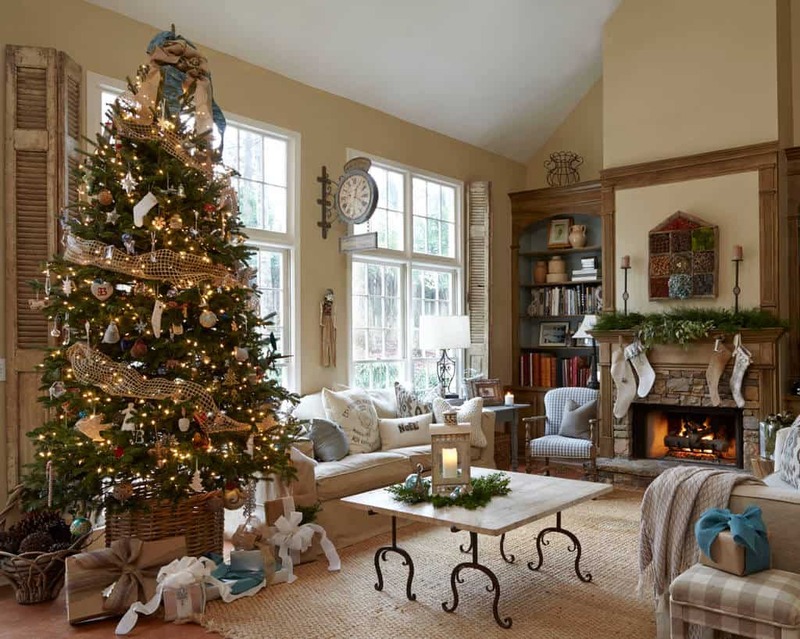 A great family room is one that can adapt to any time of year. This one uses a wonderful color style that looks great with the holiday decor. Open spacious, you have so many options. 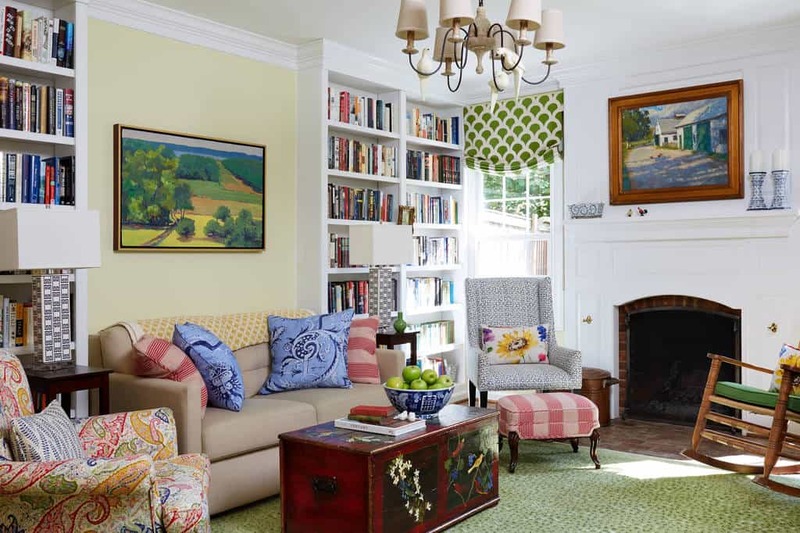 This cozy room takes on a unique and old-fashioned design style. 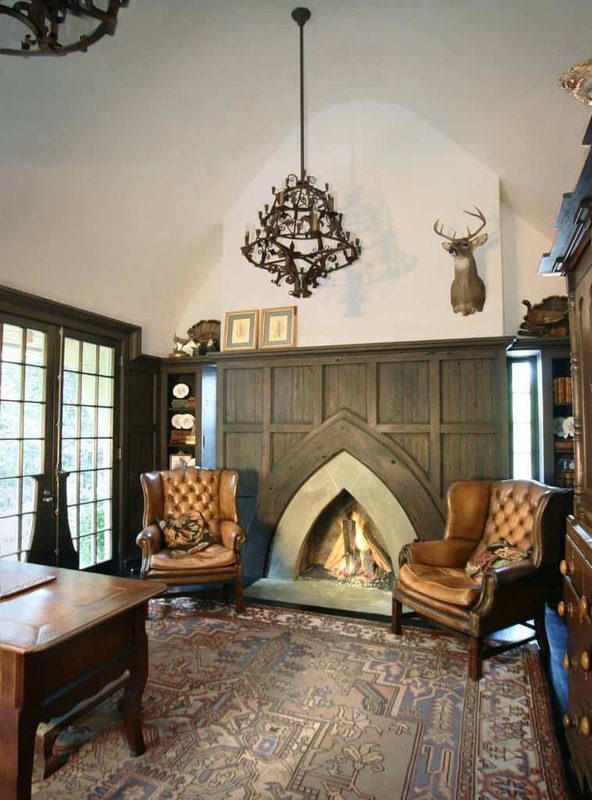 With a creatively designed fireplace to keep this room warm, use this space to relax or as your office.